Do you remember as a child how proud you were when you learned a new skill? Whether it is being able to write your name for the first time or learning how to count, education is essential in one’s development, confidence and ability to be a member of the community. Teaching English in a Burmese Learning Center in Thailand is a valuable way to make positive impacts in both the students’ and teachers’ lives. Knowing English is a vital asset for venturing out into the working world, as English is the lingua franca. While improving the lives and possibilities for Burmese youth living in Thailand, you will enrich yourself by having the opportunity to immerse in both Thai and Burmese cultures. On the first day, our dedicated staff will take you through an introduction workshop to give an overview of your time with us. This first day will provide an introduction to teaching and the selection of resources that are available for you to use in the classroom. We understand it is a lot to take in when you first arrive, so don’t expect to remember everything! You’ll have the opportunity to ask any questions on your mind. We will ensure you quickly begin to feel like a member of the team. Also, we’ll go through the main cultural do’s and don’ts, so that you don’t unintentionally offend anyone during your time in Thailand (simple things like taking your shoes off when entering a home). We will go with you to the Burmese Learning Center and help plan lessons, while offering feedback from previous volunteers and worksheets that have been used to help them plan their lessons. We make sure that you have a good introduction to the teachers at the center, and they will be looking out for you during your time here. You’ll facilitate classes going forward. As a teacher, you’ll assist with the students’ conversational and pronunciation skills, as many of the students have not had the opportunity to speak with a native English speaker. Your presence in the classroom will help the teachers and students improve their confidence to interact with English-speaking foreigners, as many are too shy to speak English when they meet a visitor. The duration for each class is about an hour. You’ll lead classes each week and watch as your students’ language skills grow. You are encouraged to incorporate English into any activity like sports, art, music, computer skills… if you have a special skill you can bring it to the center! The children of Burmese migrants in Thailand are faced with unique challenges that differ from other children in Thailand. They do not have legal citizenship in Thailand, nor are they recognized as citizens of Burma. Most Burmese migrant children are unable to access the Thai education system and their parents often have also received little or no education. The support from volunteer teachers, like you, is crucial to break the cycle of poverty through sharing the gift of education. 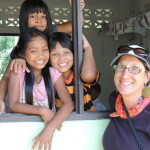 A volunteer teacher at the Burmese Learning Center can make a profound difference. Many of the Burmese children are expected to earn a living as child laborers in rubber plantations or fisheries if they are unable to attend school. If they excel in school, the children will often have better opportunities that exceed those of earlier generations in their family. The school is off the beaten path, allowing a teacher to gain valuable insight into the Burmese culture. Projects at the school can include helping the students make recycled paper, manage the recycling bank and hydroponic gardens. Everyone has a valuable contribution to make, whether you have teaching experience or not. 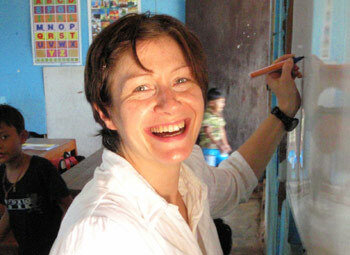 Skilled volunteers can apply their teaching experience to help the students to improve their English language skills. Inexperienced volunteers can use our teaching materials and worksheets to teach. An ideal volunteer will be able to commit to a period of at least two weeks, up to three months. 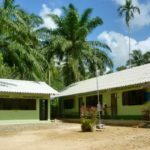 Volunteers should be interested and willing to commit their time and attention to the project, while staying in a small rural Thai town in the evenings. It is important that volunteers be proactive and able to work independently. It is possible that you will be the only volunteer teacher at the school. However, our team is close by and is available to assist you if questions or concerns arise. You can come and volunteer at any date, except when the Burmese Learning Center is closed for holidays. The center is closed from March to mid-May and from mid-September to late-October. Furnished accommodation will be provided upon arrival. 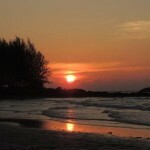 You will be living in Kuraburi, Phang Nga province, 3 hours from Phuket and 1.5 hours north of Khao Lak. Despite its proximity to mass tourism destinations, Kuraburi is off the tourist path, giving you unique insight into the Thai way of life. Kuraburi is a small town, surrounded by lush mountainous jungle, boasting several idyllic waterfalls that are ideal for swimming. Stretches of deserted beach are a mere 20-minute drive from where you will be staying — a perfect location to see the stunning Andaman sunset. The local market has a large selection of items to choose from in the morning, including waffles, rice soup and coffee. For dinner, local restaurants offer many mouth-watering dishes. There is also a late-afternoon market from about 4 to 8 p.m. for snacks, fruits and dinner. Please allow a daily budget of 200 Baht ($6 or £3) per day for food expenses (excluding alcoholic beverages). You can take the school transportation with the students each morning and afternoon. Kuraburi is a small town, and everything is within walking distance from your apartment. Bicycles and motorbikes are available for rent in town. Weekends are free for independent travel. Kuraburi is near many fascinating places including Ranong, Khao Lak, Koh Surin National Park (seasonal) and Khao Sok National Park, offering a variety of activities from ecotours, homestay programs, snorkeling and scuba diving. Our knowledgeable staff are happy to help you answer questions about where to go and what to do while you are here. Kuraburi is a safe town. There is a police station and hospital in town. However, it is highly recommended that you purchase travel insurance prior to your departure. To help you plan and teach, we have designed a comprehensive English curriculum specially designed for Thai students with lesson plans and worksheets. We’ve also designed lesson plans focusing on English for community tourism that might inspire some good ideas. You can use this to help plan your lessons once you know the level of your class and students. This is a project where independence, energy and initiative are very important — you may have to plan and teach classes without close supervision from the teachers, although they are on hand to help you whenever you need support. Learning some Thai can be very useful during your stay. We have developed a Thai-English phrasebook and we highly encourage you to print it out and use it. Previous volunteers have developed a useful homestay pack with flashcards, which you can print out and laminate before you leave. It will help you communicate with the local people and it contains ideas for games and activities which can assist you to develop lesson plans.